You will LOVE this absolutely delightful home in Willow Place! This beautiful 3 bedroom 2 bathroom home is saturated with natural light, has a wonderful open floor plan, gleaming hardwood floors throughout, abundant cabinetry, expansive counter space, stunning tiled master shower with frame-less shower door, gas logs, laundry room (with even MORE cabinetry & a sink), & a 2 car side-load garage, all on the main level! The upstairs flex space can be used a multitude of ways! 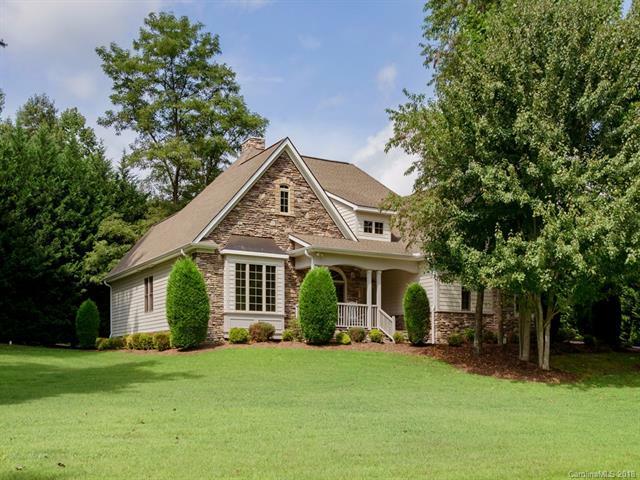 Enjoy the beauty of WNC from either the covered front porch or the patio in the private manicured back yard. This well cared for home, close to Champion Hills, has it all! Curb appeal, fine finishes, one level living, generous storage space, no HOA dues etc. There's even a new water heater & dishwasher! Don't miss out on this fantastic house!